Those who are interested in learning the paramedic salary in Missouri have come to the right place. In this article, we’ll not only reveal how much paramedics in Missouri make every year, but we’ll also compare those yearly salary numbers to EMT and flight paramedic pay, too. So how much does a paramedic make in Missouri? Well, let’s take a closer look. First, it’s important to know that paramedic salary can differ based on a handful of factors. One such factor is location. Simply put, paramedics who work in certain regions of the country can make more (or less) money than those doing the same exact job elsewhere in the United States. Another factor is whether or not a paramedic works in the public or private sector. Work experience, as well as paramedics who get paid overtime, are also be factors that affect one’s annual salary. Now before we get into any specific numbers when it comes to paramedic salary in Missouri, let’s quickly cover a few important national statistics. Using Salary.com as our guide, let’s see how the salaries for EMTs, paramedics, and flight medics compare in the largest cities in Missouri (by population). In Kansas City, EMTs make $29,563 every year. Paramedics make an average of $37,476 per year. And flight medics make $40,097 annually. In St. Louis, EMTs make $29,730 every year. Paramedics make an average of $37,688 per year. And flight medics make $40,324 annually. In Springfield, EMTs make $28,464 every year. Paramedics make an average of $36,083 per year. And flight medics make $38,606 annually. In Independence, EMTs make $29,563 every year. Paramedics make an average of $37,476 per year. And flight medics make $40,097 annually. And in Columbia, EMTs make $27,307 per year. Paramedics earn $34,617 each year. And a flight paramedic pulls in $37,038 annually. If you’re currently looking for a paramedic job in Missouri, it’s recommended that you visit our job board. There, you can search for hospitals and ambulatory services that are looking to hire educated and trained paramedics. As you can see, paramedics working in Missouri make a little bit less than the national average (according to Salary.com), although it isn’t by much. 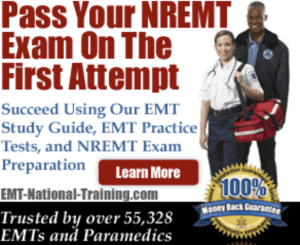 Those interested in becoming a paramedic in Missouri should certainly not be discouraged by these numbers, as being an EMT-P is one of the most heroic jobs one could have. For more on paramedic training requirements, please bookmark Paramedic Training Spot.